Now in a Budget Friendly 3 Pack. 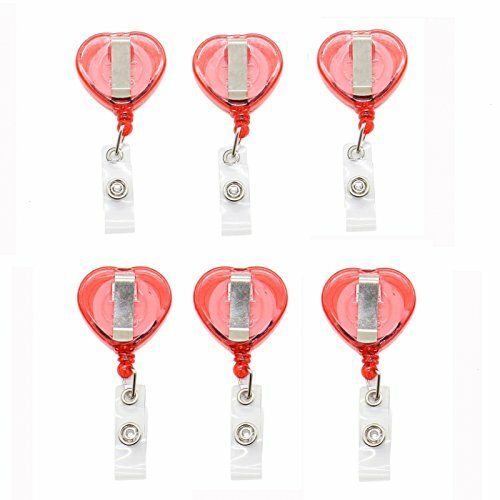 These Cute and Sturdy Heart Shaped Badge Reels from Specialist ID are tested to last a long time. 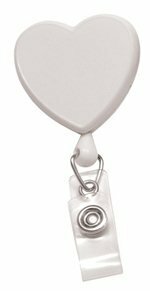 They are a bit larger than your average badge reel measuring 1 1/2" by 1 1/2". The cord can reach a surprising 34" and the swiveling back helps to prevent wear and tear extending its life considerably. Get one for each personality you work with!!! Rotating Alligator Clip attaches firmly to your collar, pocket, lanyard, belt loop your any other place you decide. Get a five pack to share, also great for decorating. These reels are rated at the top of the industry for long life and durability. Specialist ID solid pretty pink heart shaped reel. The swivel spring clip attaches to any garment at any angle. 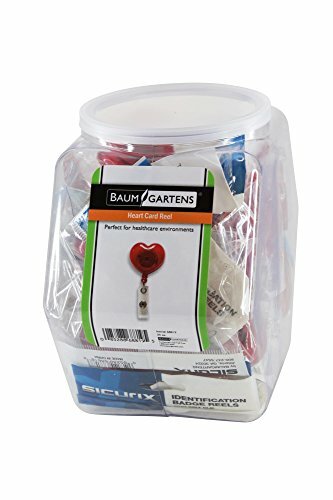 Perfect for holding your photo ID. 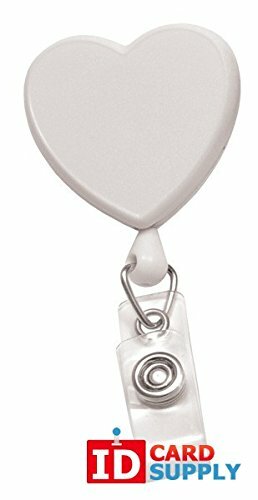 Heart-Shape Swivel Back Badge Reel has a clear vinyl strap, and spring clip. 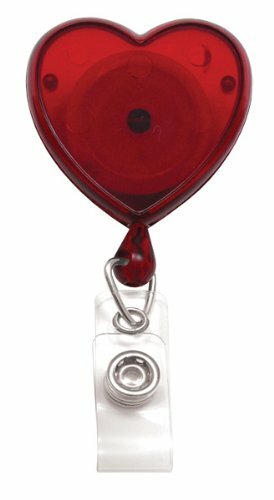 This heavily discounted pack of red heart shaped ID Badge Reels is in stock and can ship out today! Each reel is attached by its convenient Swivel Spring Clip and measures 1 - 1/4" (32mm) in diameter with a cord of length: 34" (864mm). 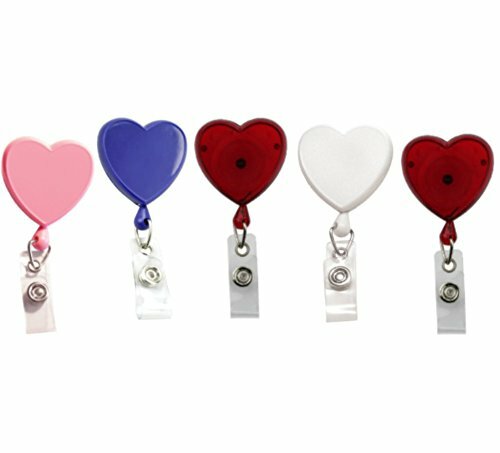 These Brady brand badge reels will allow you to keep your badge neatly held but readily available throughout the day. 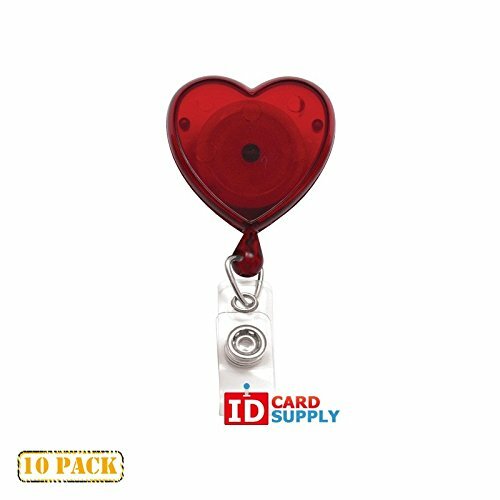 This heavily discounted pack of ID Badge Reels is in stock and can ship out today! Now on sale for only 35.99 USD. Each reel is attached by its convenient Swivel Spring Clip and measures 1 - 1/4" (32mm) in diameter with a cord of length: 34" (864mm). 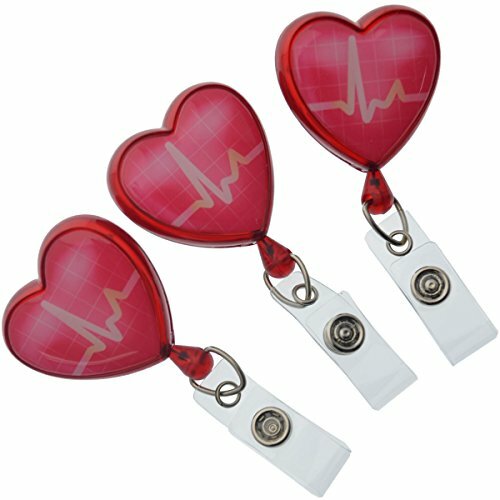 These name brand Brady reels will allow you to keep your badge neatly held but readily available throughout the day. 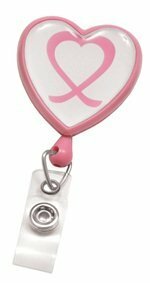 Pink Awareness Badge Reel with Clear vinyl Strap & Swivel Spring Clip. Reel Diameter 1-1/4" (32Mm). Cord Length 34"